One of my favorite ways to quilt table runners and wall hangings is a technique called 'organic wavy lines'. Organic means your quilting lines aren't marked ahead of time. My table runner is a two block runner which measures 12'' by 26''. I basted this using straight pins and then added pinmoors to secure the pins. Use your walking foot on your sewing machine and set your stitch length to 3. Starting in the middle of the quilt / table runner right at a seam in a block. 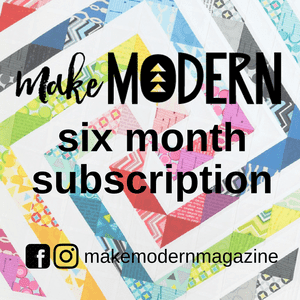 Secure your first (and last) stitch in each row with a quick backstitch. Using the seam as a guide, sew your wavy line crossing back and forth across the seam. You aren't going for a wiggly line so plan to cross the line about every 9 inches. For the next line, and the all the lines after than, follow the wavy line you established but vary the distance between your presser foot and the prior line. In this first photo, I am sewing very close to the prior sewn line. And then I increased the gap to create some interest. Unlike FMQ when my hands are on the quilt to move it around, I like to hold the piece up and 'steer' it much of the time. 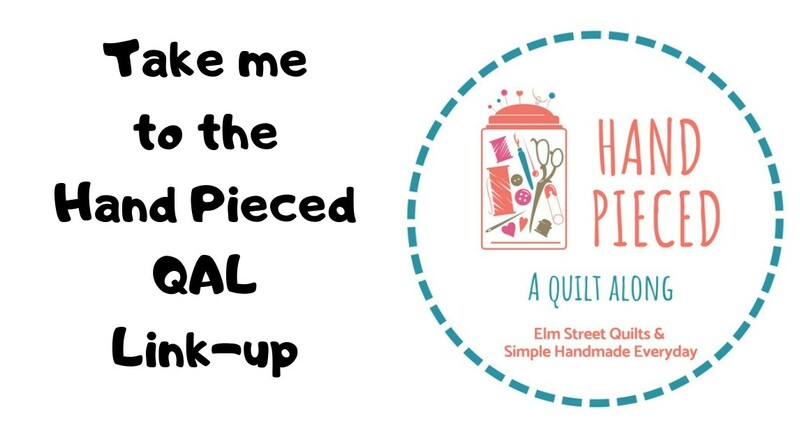 Continue making your wavy lines until you've quilted from the center to one edge and then go back and start from the middle and quilt the other half. Also check out my other tutorials! This block was Pat Sloan's Triangle Challenge #1. I'll be linking up at her blog here and here. First time visiting? 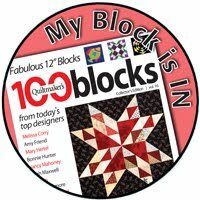 Checkout my Bargello QAL - great prizes from sponsors for participants. I used a version of my organic wavy lines to quilt the bargellos, following along on the curve! 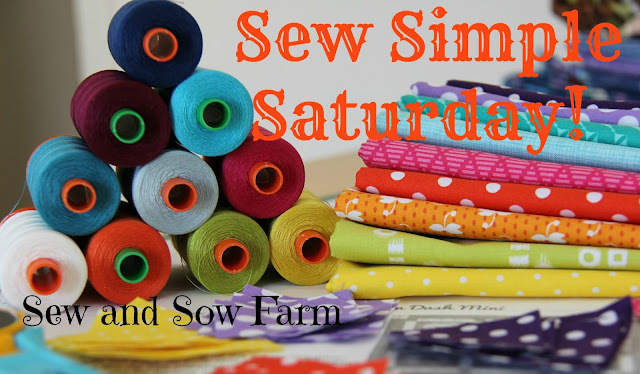 Linking up with Fort Worth Studio, Quilt Shop Gal, Confessions of a Fabric Addict, and Sew She Can. Thanks for the tutorial, good to know for smaller projects. I like it! Looks really easy too! Thank you, Patty. This inspires me. I don't have a walking foot yet and can see this is absolutely necessary if I'm going to finish the pieced blocks I have! New to all this. Thank you Patty, I love the really curvy OWL quilting!